iPad has helped to transform teaching and has revolutionised the way that students of all ages and abilities learn. Schools have found that the iPad provides students with a really engaging learning experience by leveraging the innovative apps, digital books and learning games, all of which are available to meet the needs of varying student learning styles. And with iOS, students of all ages and abilities can interact with intuitive software, even those with special learning needs. With 1000’s of apps available, iPad transforms the way you teach……. In the past , the iPad was perhaps considered just for home users, Today though schools of all sizes are increasingly finding that the iPad can help their organisation become more better and more efficient teaching. Running iOS, the worlds most advanced mobile operating system the iPad has an abundance of apps available specifically for education establishments. Integrating a fleet of iPads into an education establishment of any size couldn’t be easier either with.a Mobile Device Management (MDM) server or Lightspeed solution which will allow IT administrators to deploy apps and personalised settings for the individual school. No matter what happens to an iPad, whether its lost or stolen the school can be secure in the knowledge that their data is safe and secure thanks to the layer of security that is applied. 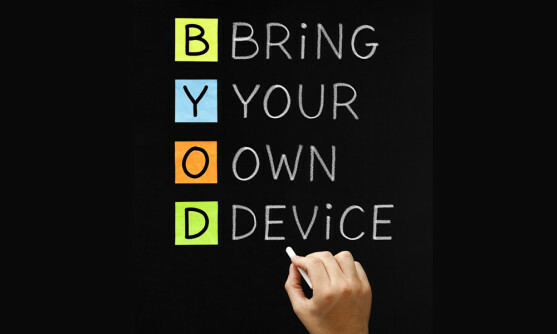 BYOD doesn't have to be complicated, we have teamed up with Cablers Ltd and can provide the perfect solution, with their extensive knowledge and our technical support we are able to bring the total solution. 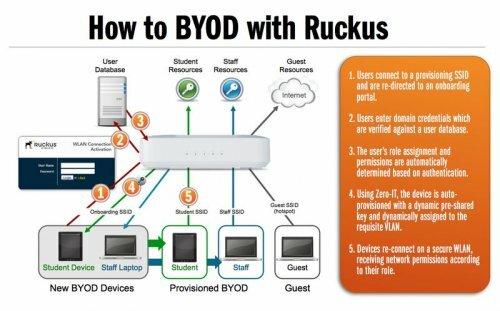 you will need to upgrade you're current wireless situation unless you currently have Ruckus or Meru, then as the diagram shows we are able to provide the solution that exceeds your expectations, full site survey is advised before making any decisions. We have various ways of managing you're devices (MDM) Lightspeed solutions is just one of them or onboarder either ways both will meet and exceed you're expectations.